For those of us in the environmental industry, this year promises to be one of the most memorable in recent memory. The highly-anticipated inauguration and first 100 days of President Donald J. Trump will likely dominate the news cycle and provide insight on the near term future of our business. One of President-Elect Trump’s major campaign platforms was his promise to improve the economy, create jobs, and ease the regulatory burden for U.S. companies. As inauguration day draws near, it’s worthwhile to get a better understanding of Trump's regulatory reform proposals aimed towards achieving these goals and how his stance on deregulation MAY impact California hazardous waste generators over the next several years. Our preliminary opinion, don’t expect much relief anytime soon. 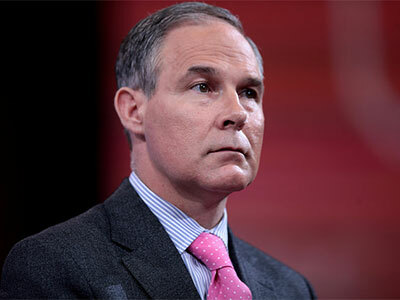 Trump’s website, as well as his choice, Oklahoma Attorney General Scott Pruitt, for the head of the EPA provides a glimpse at his major policy objectives and helps us gain a better understanding of his intentions. Each of these objectives seeks to reduce the size of government, a long-time goal of Republican administrations. Government regulations are vast and include a wide variety of topics including financial/banking, pricing practices, wages, discrimination, etc. These areas all have an impact on small businesses. Environmental and worker health and safety (EHS) laws make up only a small fraction of overall Federal regulations. In terms of the moratorium on regulations, what might this mean for generators? Does this mean no new EPA, or corresponding state environmental regulations, until the “moratorium” is over? Overall, Trump appears to be much more concerned about “Big Picture” EPA rules as they apply to energy production and major air emissions, particularly the burning of coal, natural gas and oil to produce electricity. Pruitt, a climate change denier comes from a major energy state, which leads us to believe that energy will be the major environmental priority. These types of issues don’t really impact generators on a micro level, other than potentially resulting in lowered electricity costs. In other words, these are major federal and even global issues that will require major focus, resources and political capital to impact. Will Trump really have time to dig into the weeds of environmental regulations as they apply to generators? Things like storm water permitting and stormwater pollution prevention plans, hazardous waste management, air permitting and authorizations, and the various hazardous waste regulations like cradle to grave and EPA reporting requirements are most important to generators. These are the regulations that IMPACT our industry and have nothing to do with the larger agenda that Trump appears to be pursuing. Moreover, these sorts of environmental compliance regulations aren’t particularly expensive to manage, and appear to fall into the “common sense” category of regulations designed to protect local communities and public, etc. It’s hard to imagine that Trump would attack these “micro” level environmental regulations. EHS is a “cost of doing business” and must be included in a generator’s budgeting plans. Don’t expect much change or relief from these types of hazardous waste generator requirements. While the excitement or dread of a Trump presidency (depending on your point of view) will provide a lot of fodder for the talking heads on T.V., meaningful relief from de-regulation is likely to bring a heated battle from democrats, environmental groups and Leo DiCaprio. Don’t expect much change this year. Trump may be in for a long term battle and will have to pick and choose which one’s are worth fighting for. Last note, a regulatory moratorium has been attempted before, during the first term of President George H.W. Bush (1990-1994). Forbes has an informative piece on the success, or in this case lack of success of such a strategy.